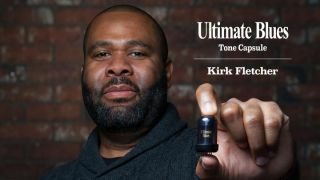 Roland is pleased to announce the Blues Cube Ultimate Blues Tone Capsule, a user-installable voicing circuit for the innovative Blues Cube guitar amplifier series. Guitar players should broaden their musical listening. They should have some depth in their playing, meaning listening -- heavily -- to what came before them!